It is estimated that millions of people got engaged on Valentine’s Day. Were you one of them? I hope so and I also hope that it was one of the most joy filled, exciting moments of your life! It should be because you are agreeing to spend the rest of your life with the one that you love and all that entails. Now once champagne has been popped, the shiny ring photos have been sent and the rose petals cleaned up, the reality sets in. “I HAVE to plan a wedding! Where do I start? I have never planned anything before!” Here is where I do not want you to panic. Keep some things in perspective as you begin the journey for the next year or two years to throw this personal celebration. Take a deep breath. You can do this! Deep Breath #1: Set a realistic time frame for when your TO DO list items will be checked off. 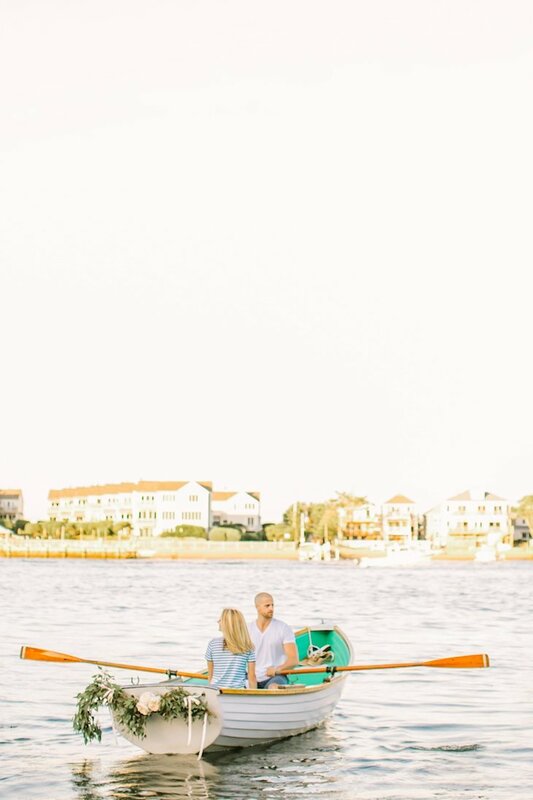 Nicole, one of our May brides says, “The entire wedding planning process was an absolute dream, I never made too many decisions at once and everything just fell into place.” At Gilded Lily Events, I use a program that has a very comprehensive checklist that is broken up by month. We use this to stay on track and make sure items that are prerequisites are completed first. I also never recommend trying to make too many decisions at once. For starters, your wedding will not feel as thoughtful and many people change their mind over the course of the year. Divide & conquer so you feel confident about your decisions. It will save you time, heartbreak and money in the process. Deep Breath #2: Delegate and involve your fiancé. Lauren and Jamie were married in April and she wisely states, “Remember this is your fiancé’s wedding day too so try to include him in the process”. It is so very easy for brides to-be to take the reins and not ask for assistance, but you can very easily get overwhelmed that way. Delegate the tasks such as creating the play list for the band, making the final decision on the photographer, choosing his signature drink to name a few. It will be more enjoyable and a great lesson in compromise and working together. Deep Breath #3: Celebrate little victories! 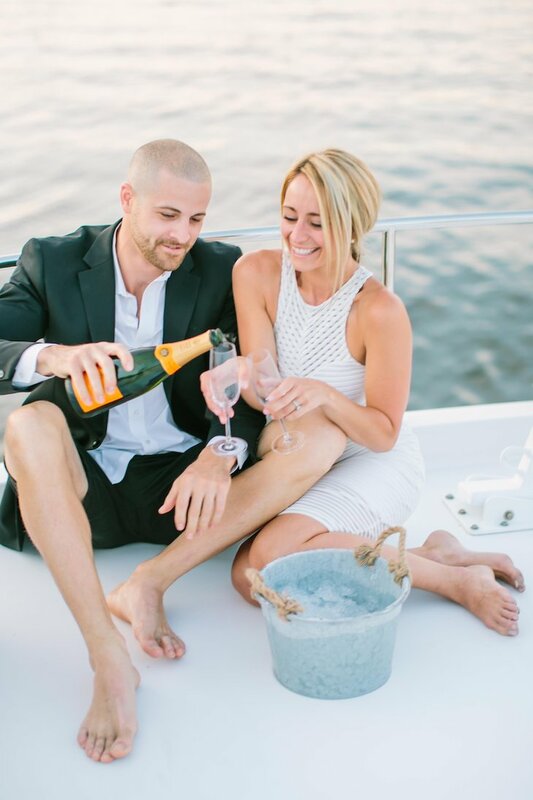 I love Laura’s tip, “When we sent our save the dates, we popped champagne! We did it again when we sent our invites. And I most certainly did it when I found the dress with my mom and sisters. That keeps the process fun too”. 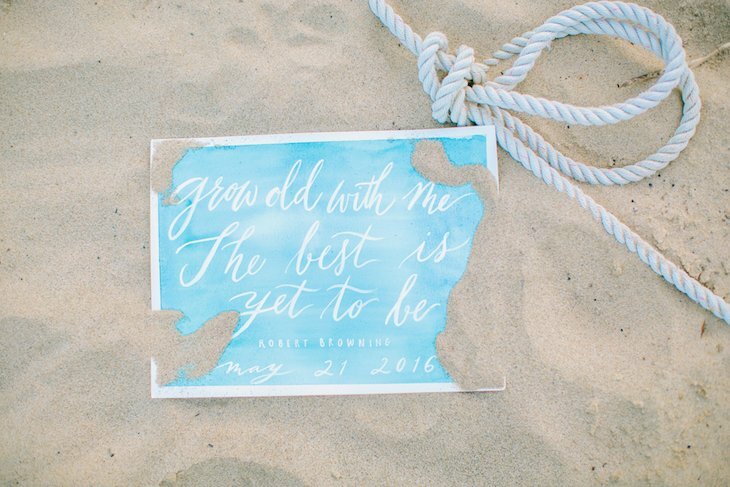 Try not to take wedding planning TOO seriously! After all, it is a big party with your best friends and closest family. They want you to enjoy the process and much as the result. Deep Breath #4: Focus on the details that make you happy. Erin’s September wedding came together beautifully and she enjoyed it because she kept things in perspective. Erin says, “There were so many parts of my process I really enjoyed, especially when it came to my bridesmaids. I loved making them ‘Will you be my bridesmaid?’ boxes and creating really cute custom denim patch shirts to get ready in. I enjoyed the hunt of getting each girl the perfect statement earrings getting to try out my creative side.” When the big picture gets overwhelming, take some time out to do something fun and creative. When you are doing something for someone else, you are usually the happiest so spreading some love for your girlfriends or parents will make you feel lighter. Deep Breath #5: Stay true to yourself. Pinterest and Instagram are great tools but many people get bogged down by the daily inspiration streaming in on all of their devices. I always recommend using these social media platforms as a jumping off point but keep in mind that all of the images you see may not be realistic. Do not be discouraged. A good designer with be able unearth what inspired you about those photos and propose something that will work for you. 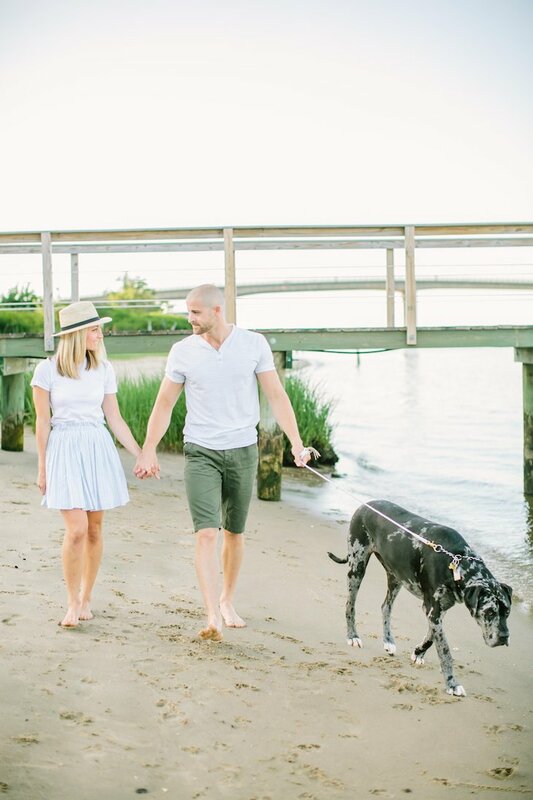 Our wise bride, Laura shares with us that “In order to enjoy the wedding planning process, I stayed true to myself. It’s hard to do that with Pinterest and Instagram, as well as the opinions of friends and family; but, in order for your wedding to reflect you (& your groom! ), it’s crucial to stay true to yourself. Plus, the more guests are able to see you – the couple they’re there to celebrate – in your special day, the more unique it is!” I couldn’t agree more! Deep Breath #6: Hire a wedding planner. I would be remiss if I didn’t mention that hiring a wedding planner couldn’t hurt to ensure a more stress-free experience. If it is not in your budget or personality to hire a wedding planner for the entire process, I recommend considering an event day coordinator who can help ease all of the stress that will inevitably come the month before the wedding when looming due dates, decisions and details abound. Here are some sweet comments from our past brides that I can not help but share! I loved working with them just as much and feel so lucky that I was able to make this process memorable and enjoyable! It is my goal as a wedding planner to help all of our couples-to-be to enjoy this journey. For most, it only comes along once in your lifetime and you want to look back at the time from saying “yes” to “I do” as a time that you were true to yourself and the love that you have for one another. All of these gorgeous photos are from Jessa at Love & Light Photographs. I can not wait to share the stunning photos of Nicole and Mike’s May wedding. 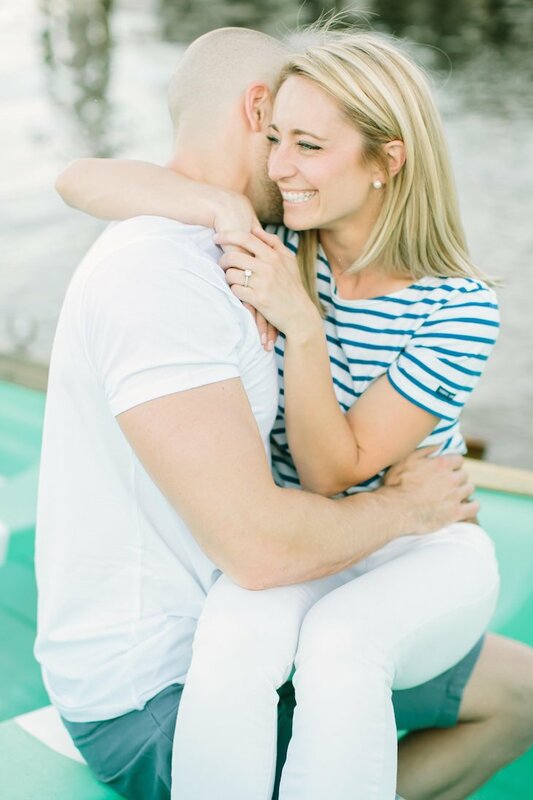 How cute are these two during their engagement session?! I can confirm that these smiles never left their faces the entire time! These are such great tips I can definitely share with future brides! I think my involvement in creating their wedding invitations helps to lessen the stress as well. They (or you/planners) can hand me their ideas, and then just hang back and look at pretty paper, and simply pop them into the mailbox! We are in the business of lessening stress and creating beautiful things….how lucky are we?! So many awesome tips! I love that you suggest celebrating the small things, that’s definitely setting up awesome memories for the future rather than looking back at wedding planning like it was a big stress! Yes!! Such a great read for new brides! 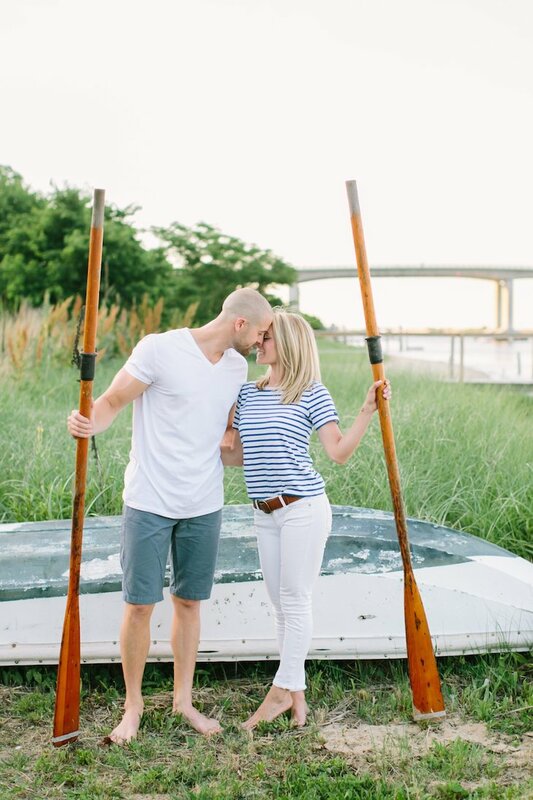 I love when our brides enjoy every part of the process stress-free! What a great list! It’s so important to be on the right track from the start!